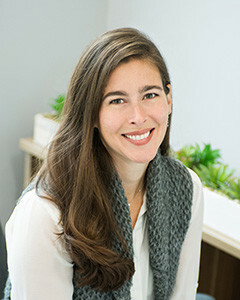 Over fifteen years of experience in Chicago real estate, through good markets and bad, has given Christine a keen understanding of the city market and has honed her abilities in analysis, strategy and negotiation. She brings these tools along with open and honest communication to every transaction still tailoring the process to fit each individual client's needs in order to deliver the highest level of service. Earning each client's trust and respect has been at the core of Christine's business from the beginning. It is the reason that she's built countless enduring relationships with her clients and the reason she's been successful. She understands that buying and selling real estate can be a stressful and emotional process. She sees her role as an advocate – a knowledgeable and honest partner who is there to help effectively navigate the entire process. Her commitment to deliver the highest level of service has been rewarded by a thriving business even during the most challenging markets. She has consistently earned industry awards such as "Top Producer" and "President's Circle" but she is most gratified by the fact that 100% of her business comes from repeat clients and referrals from clients and fellow Realtors. She feels there is no higher compliment one can give than that of a referral. Christine is passionate about the joys of living in Chicago. She enjoys taking advantage of all it has to offer. Whether it's the festivals, parks, independent restaurants and boutiques, the music, dance and theatre, the sporting events and the lakefront, she knows first-hand all the benefits of living, working and raising her family in this amazing city. "Initially, we thought the home buying process was complex and intimidating, but with Christine at our side, we enjoyed every second of it. Christine really takes the time to listen to your needs and makes sure that you make a wise choice... getting you everything you want and need (and knowing the difference) and still being responsible with an eye on the future. Working with Christine is like working with a trusted friend. She is extremely knowledgeable about the landscape of Chicago real estate"